Will Roadrunner and Wile E. Coyote both have mother's named Martha in Coyote Vs. Acme? We'll find out when the next Looney Tunes feature film hits the big screen, arriving from writers Jon and Josh Silberman. Many fans believed that the next Looney Tunes movie would be Space Jam 2 with LeBron James. Not so fast. It looks like that project is still stalled in development for the time being, as LeBron makes his way to the Los Angeles Lakers. Instead, Warner Bros. is gearing up to give Wile E. Coyote his own movie, where he'll face off with the gadget company he's so loyally been a customer of these past many years. Chris McKay, the director behind the hit animated Lego Batman Movie, will serve as a supervising producer on Coyote Vs. Acme. There is no word on whether or not Wile E. Coyote's longtime nemesis Roadrunner will show up. Josh Silberman and Jon Silberman worked on It's Always Sunny in Philadelphia for the past three seasons. They are currently serving as the supervising producers on CBS' series Living Biblically. Right now, they have only been hired to pen the script for Wile E. Coyote's first standalone adventure. Coyote Vs. Acme is only the third feature length Looney Tunes movie to come out in the past 22 years. The first was the infamous Space Jam, which came out in 1996. It teamed Michael Jordan with Bugs and crew to take on some alien invaders on the basketball court. Fans of 90s nostalgia have been crying for a sequel ever since its release, and that should happen sometime in the future, now that LeBron has situated himself in L.A. Though, there is no production start date announced for Space Jam 2 yet. The other Looney Tunes movie was 2003's Looney Tunes: Back in Action, which shied on the side of being being better suited as a direct-to-video release. It starred Brendan Fraser and Jenna Elfman at a time when neither were necessarily setting the box office on fire. It also featured Steve Martin, who hadn't had a hit movie in years at this point. Space Jam was a substantial hit, pulling in $230.4 million worldwide. Looney Tunes: Back in Action wasn't as fortunate. It only earned a global take of $70 million, and is considered by some to be the flop that killed the franchise for the past 15 years. Warner Bros. is looking at Wile E. Coyote as the one Looney Tunes character who has the most slapstick potential. The studio believes he has limitless possibilities, even when he's alone in the desert. The Silberman brothers have also worked on such shows as Bordertown for FOX, Deadbeat for HULU, Good Vibes and Free Agents. 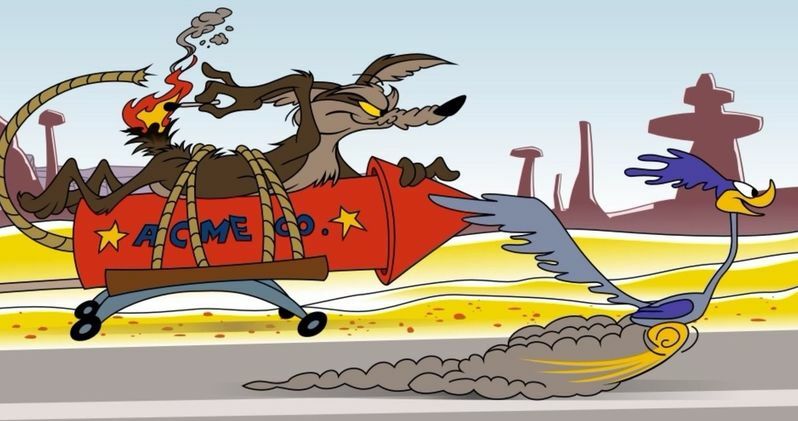 Warner Bros. hasn't issued a release date for Coyote Vs. Acme at this time. Deadline was the first to break this news.